A Washington defense lawyer calls it the 'logical next step in this investigation' by Special Counsel Robert Mueller, and the president's lawyers say they don't believe he is under investigation. 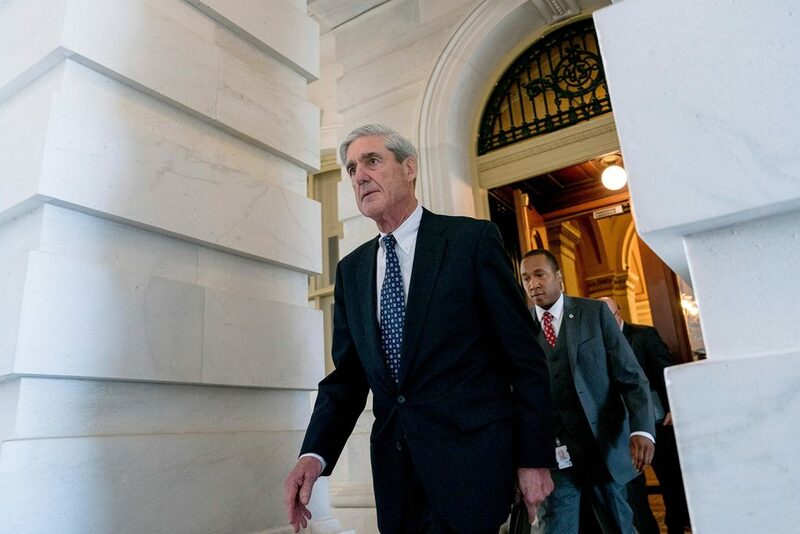 WASHINGTON — Special Counsel Robert Mueller is using a grand jury in Washington as part of an investigation into potential coordination between the Trump campaign and Russia, a person familiar with the probe said Thursday. The use of a grand jury, a standard prosecution tool in criminal investigations, suggests that Mueller and his team of investigators are likely to hear from witnesses and demand documents in the coming weeks and months. The person who confirmed to The Associated Press that Mueller had turned to a grand jury was not authorized to discuss the investigation by name and spoke on condition of anonymity. “With respect to the news of the federal grand jury, I have no reason to believe that the president is under investigation,” defense attorney John Dowd told the AP. Ty Cobb, special counsel to the president, said he wasn’t aware Mueller had started using a new grand jury. Mueller was appointed special counsel in May by the Justice Department following the firing by Trump of FBI Director James Comey. He has since assembled a team of more than a dozen investigators, including current and former Justice Department prosecutors with experience in international bribery, organized crime and financial fraud. That team has been working at an undisclosed location in Washington, so presenting evidence inside a federal courthouse in the city could be more convenient for the group of investigators than working out of Alexandria. Mueller also worked as a prosecutor in Washington before becoming FBI director, a job he held for 12 years. Trump’s defense team has been looking into potential conflicts of interest among members of Mueller’s team, such as past political contributions to Democrats including Hillary Clinton, and Trump has warned that any effort by Mueller to look into his finances would fall outside the scope of Mueller’s appointment. Under the regulations, Deputy Attorney General Rod Rosenstein is the government official empowered to fire Mueller under limited circumstances, such as conflict of interest and dereliction of duty. Rosenstein, who appointed Mueller, has publicly said he has seen no basis for firing him.